Sorry for my absence, life has gotten a bit hectic! For autumn/winter 2013-14, makeup artists have taken spring’s trends and developed them for the new season, with the introduction of petal and berry stains to replace matte lips, and an even more pronounced take on Sixties beauty. A move toward more grown-up, ladylike makeup is quickly becoming the trend for this winter. Youthful dewy skin has moved aside to make way for a flawless, velvety finish. Keep this is mind when you hit the cosmetic counters and pharmacies. I thought I would share with you my friday, outfit post! 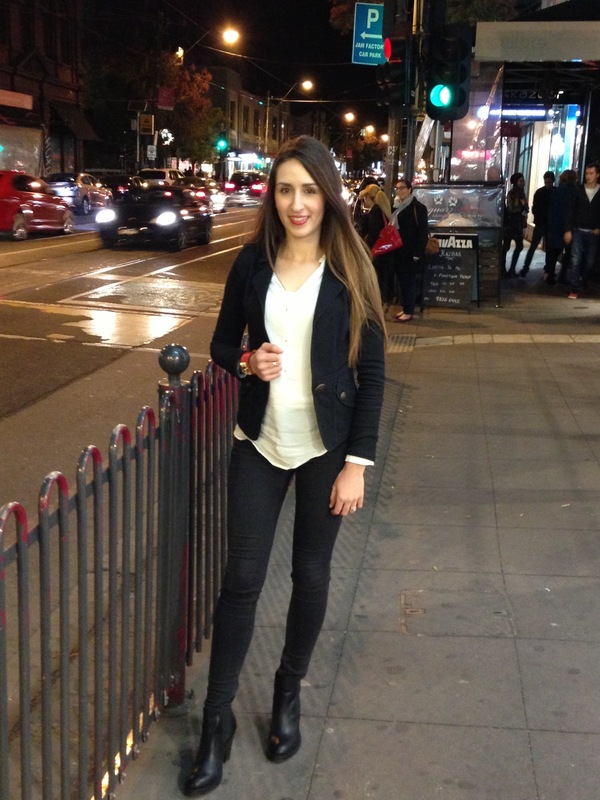 Friday after work my husband and I went out for dinner to Amigos at Chapel Street Melbourne. I decided to wear my favourite white shirt from Zara. It is a beautiful fabric and has small gold button details. 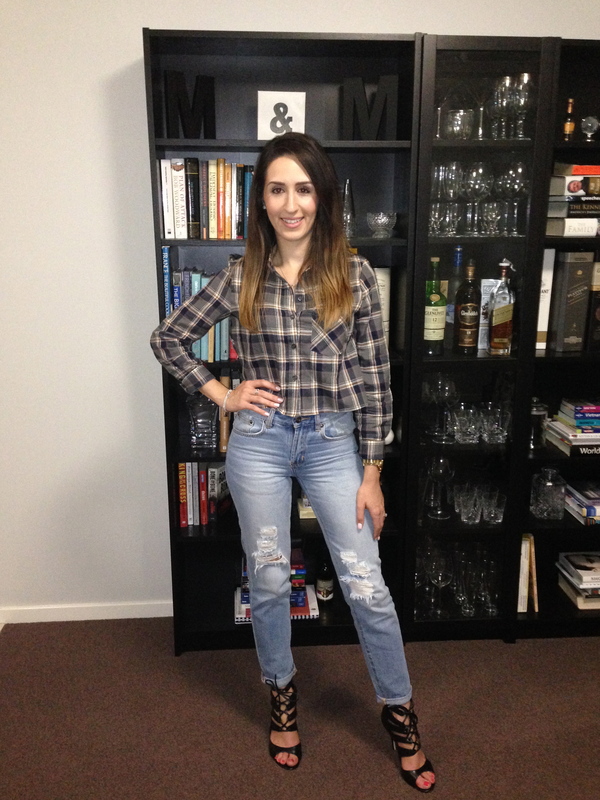 I paired my top with my black jeans from Gap and new amazing black boots from Tony Bianco. 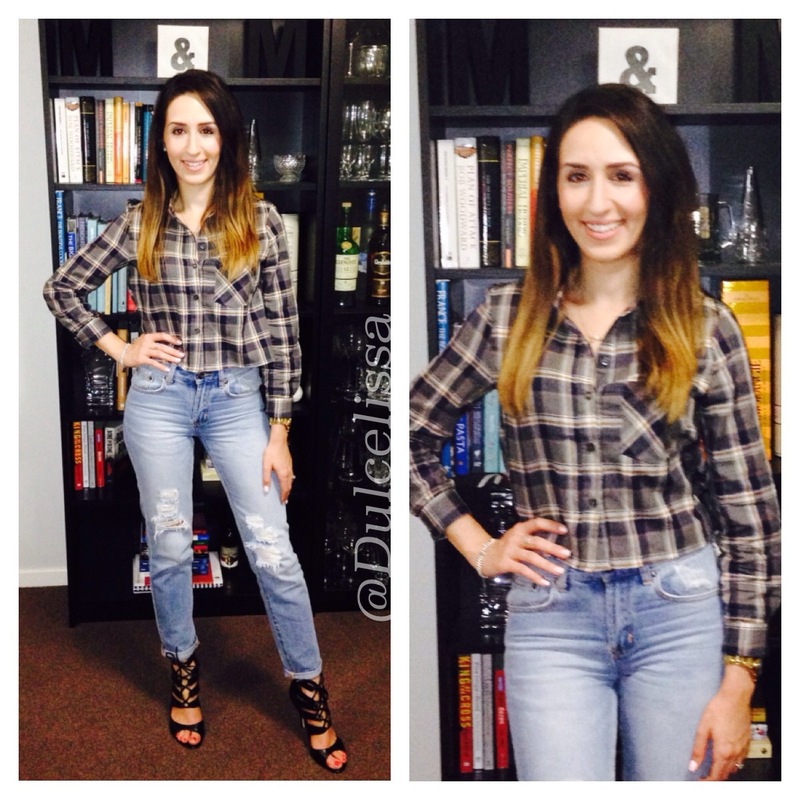 I finished the look off with a very old but very loved black denim blazer from Zouk. For accessories, I wore my guess watch, my Tiffany and Co earrings and by red and gold cuff from wildurban in Berwick. For my makeup, I used some new exciting products and opted for a dewy look with red lips. I wore my NARS foundation, paired with my Mac studio fix powder. I used Mac mineral blush in gleeful and loads of Jordana best lash extreme mascara. I finished the look with Mac Ruby Woo lipstick. The look was so fun and in trend, with my white and black monochrome outfit, paired with my red Ruby Woo lips. 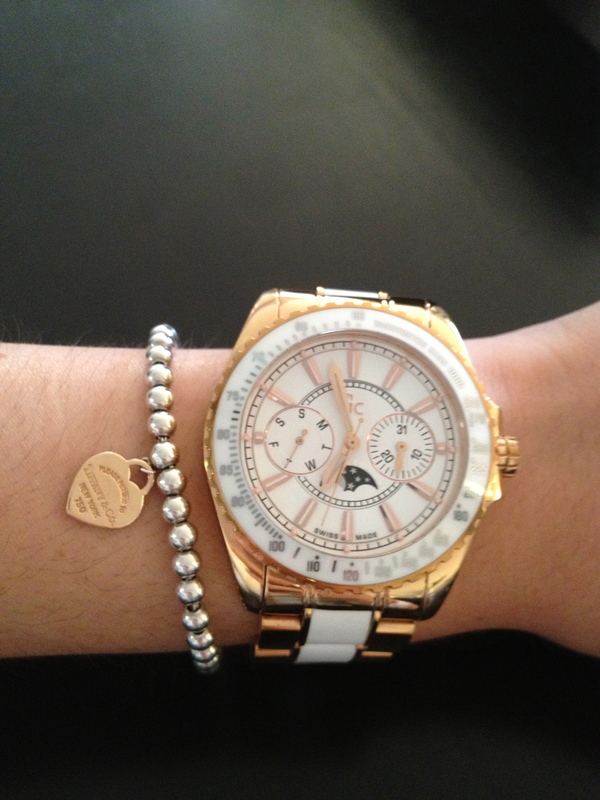 Check out my take on mixing and matching different accessories with my favourite watch. 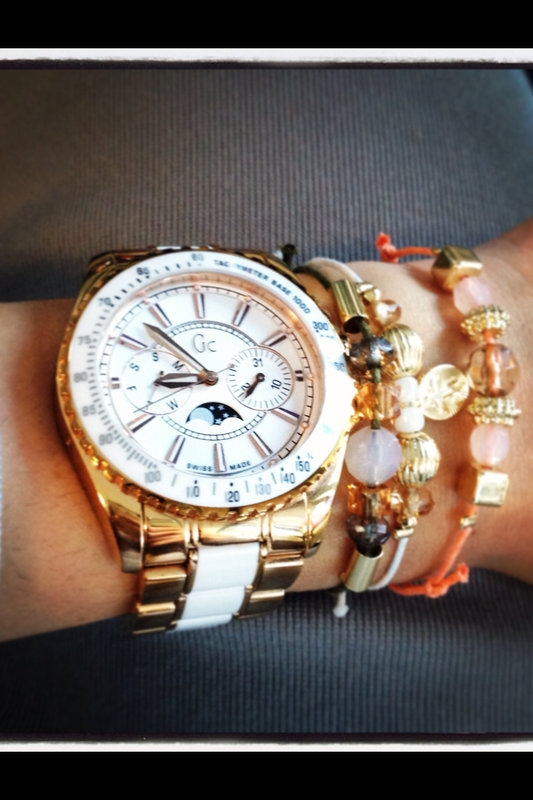 You can see that it is easy to take a classy watch from day to night. Be creative and add different accessories to your everyday pieces to give your look a more dramatic effect. Check out my on trend nails with matching rings. By the way that’s my hand and my sister’s! Check out the hand candy!